From 2007-2010 I was part of a collaborative research team that includes archaeologists, demographers, ecologists, and geochemists. Our project, “Long-term Dynamics of Population Growth, Agricultural Intensification, and Sociopolitical Change: Hawaii as a Model System (1200-200 yr B. P.)” is directed by Dr. Patrick Kirch (UC Berkeley). The project is funded by the National Science Foundation’s SBE-Human Social Dynamics program. 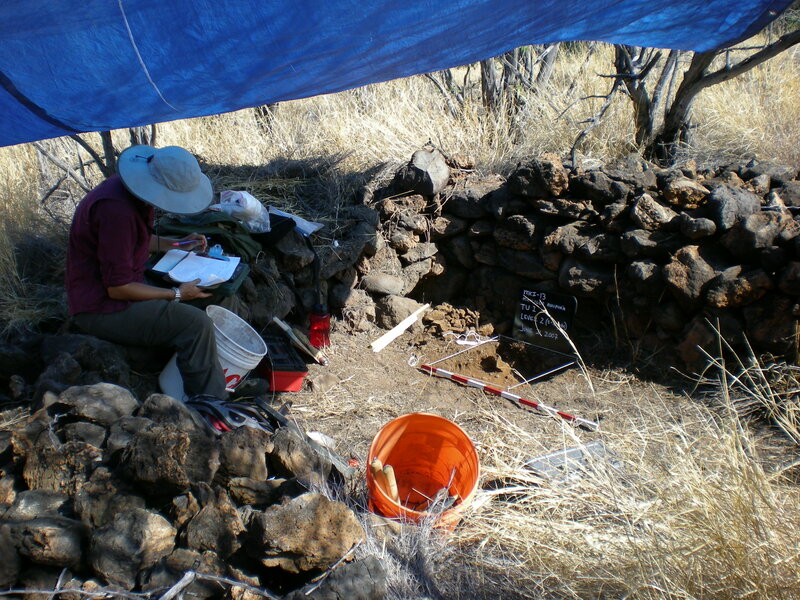 Our research focused on the chronology and configuration of Hawaiian residential sites on the leeward (western) side of Kohala, a traditional Hawaiian district located on the northern end of the island of Hawaii. Our fieldwork focused on mapping, describing, and excavating prehistoric structures along the coastline and upland portions of Kohala, with the goal of examining the extent of small residences in prehistoric Hawaii, and to examine the dynamic relationships between marine tenure, agricultural production, population growth, and the rise of hiearchical social structure. We produced several reports and articles concerning this research (see Publications link to left).